Description:Used 2019 Hyundai Kona limited for sale - $28,295.00 with 0 miles. 2019 Hyundai Kona limited Heated Leather Seats, Moonroof, iPod/MP3 Input, Satellite Radio, Turbo Charged Engine, OPTION GROUP 01, Aluminum Wheels, Premium Sound System, Back-Up Camera, All Wheel Drive. EPA 29 MPG Hwy/26 MPG City! Limited trim AND MORE!======KEY FEATURES INCLUDE: Leather Seats, Sunroof, All Wheel Drive, Heated Driver Seat, Back-Up Camera, Turbocharged, Premium Sound System, Satellite Radio, iPod/MP3 Input, Onboard Communications System, Aluminum Wheels, Remote Engine Start, Cross-Traffic Alert, Brake Actuated Limited Slip Differential, Lane Keeping Assist. Rear Spoiler, MP3 Player, Keyless Entry, Privacy Glass, Child Safety Locks. ======OPTION PACKAGES: OPTION GROUP 01. ======WHY BUY FROM US: Stamford Hyundai is a digital, interactive dealership that is the Hyundai Eastern Region #1 service satisfaction Hyundai Dealer in the district two years running. We believe in transparency for our clients and feel that when our customers are educated about their purchase from availability, total brand value and finance options it is easy to say Yes to Hyundai. Combine this with our exceptional customer service and convenient online purchase process; it is easy to say Yes to Stamford Hyundai! Vehicle price includes Dealer Finance Rebate of between $500-$750 dollars. This rebate is only available to finance customers. Customers paying cash are not eligible for this discount, and vehicle price is subject to change. See dealer for full offer det Fuel economy calculations based on original manufacturer data for trim engine configuration. Please confirm the accuracy of the included equipment by calling us prior to purchase. Description:Used 2017 Toyota Prius v Two for sale - $22,732.00 with 29,736 miles. 2017 Toyota Prius v Two EPA 39 MPG Hwy/43 MPG City! Two trim. Toyota Certified, Excellent Condition, LOW MILES - 29,736! Bluetooth, CD Player, Keyless Start, iPod/MP3 Input, Alloy Wheels, Back-Up Camera, Hybrid. READ MORE! KEY FEATURES INCLUDE Back-Up Camera, Hybrid, iPod/MP3 Input, Bluetooth, CD Player, Aluminum Wheels, Keyless Start. Rear Spoiler, MP3 Player, Keyless Entry, Steering Wheel Controls, Child Safety Locks. Toyota Two with Classic Silver Metallic exterior and Ash interior features a 4 Cylinder Engine with 134 HP at 5200 RPM*. Serviced here, Non-Smoker vehicle, Originally bought here, 4 New Tires! All Service Records Available. EXPERTS REPORT Edmunds.com's review says 'One clever feature the Prius V boasts is its split-folding rear seat, which reclines and slides fore and aft. Backseat passengers can enjoy limousine-like legroom, or you can have an expansive cargo capacity or some combination of the two.'. Great Gas Mileage: 43 MPG City. PURCHASE WITH CONFIDENCE 12-Month/12,000-Mile Limited Comprehensive Warranty, 7 Year/100,000 Mile Limited Powertrain Warranty from date of original purchase, 160-Point Inspection and Reconditioning, 1 Year of Roadside Assistance, Vehicle History Report WHO WE ARE All preowned vehicles are covered by the Lorensen Advantage, including extended warranties and free services. For more information go to -advantage. Pricing analysis performed on 4/15/2019. Horsepower calculations based on trim engine configuration. Fuel economy calculations based on original manufacturer data for trim engine configuration. Please confirm the accuracy of the included equipment by calling us prior to purchase. Description:Used 2016 Acura RDX W/tech for sale - $27,995.00 with 25,476 miles. 2016 Acura RDX W/tech Acura Certified, Excellent Condition, ONLY 25,476 Miles! FUEL EFFICIENT 28 MPG Hwy/19 MPG City! Fathom Blue Pearl exterior and Graystone interior. Navigation, Moonroof, Heated Seats, Aluminum Wheels, Power Liftgate, All Wheel Drive KEY FEATURES INCLUDE Navigation, Sunroof, All Wheel Drive, Power Liftgate, Heated Driver Seat. Rear Spoiler, MP3 Player, Remote Trunk Release, Keyless Entry, Privacy Glass. Acura Tech Pkg with Fathom Blue Pearl exterior and Graystone interior features a V6 Cylinder Engine with 279 HP at 6200 RPM*. Serviced here, Non-Smoker vehicle, Originally bought here, All service records available! Local owner. EXPERTS ARE SAYING Edmunds.com explains 'Ample power, strong fuel economy and outstanding rear legroom make the 2016 Acura RDX a solid choice for a premium small crossover.'. Great Gas Mileage: 28 MPG Hwy. Approx. Original Base Sticker Price: $40,600*. PURCHASE WITH CONFIDENCE AutoCheck One Owner 24-Hour Roadside Assistance, Additional 1-year/12,000-mile Non-Powertrain Warranty, Balance of original 7-year/100,000-Mile Powertrain Warranty, Trip-Interruption Services, 182 point inspection BUY FROM AN AWARD WINNING DEALER All preowned vehicles are covered by the Lorensen Advantage Pre-Owned Vehicle Warranty We give you a 6 month 6,000 mile warranty at no cost to you on any pre-owned Acura, Honda, Toyota, Scion, Chrysler, Dodge, Jeep, Ram or Hyundai that sells for over $15,000 before sales tax, registration fees or any operational Pricing analysis performed on 4/15/2019. Horsepower calculations based on trim engine configuration. Fuel economy calculations based on original manufacturer data for trim engine configuration. Please confirm the accuracy of the included equipment by calling us prior to purchase. Description:Used 2009 Honda CR-V LX for sale - $10,340.00 with 69,344 miles. 2009 Honda CR-V LX LX trim, Urban Titanium Metallic exterior and Ivory interior. FUEL EFFICIENT 26 MPG Hwy/20 MPG City! ONLY 69,344 Miles! IIHS Top Safety Pick, iPod/MP3 Input, CD Player, 4x4. 5 Star Driver Front Crash Rating. SEE MORE! KEY FEATURES INCLUDE 4x4, iPod/MP3 Input, CD Player. MP3 Player, Keyless Entry, Child Safety Locks, Electronic Stability Control, Bucket Seats. Honda LX with Urban Titanium Metallic exterior and Ivory interior features a 4 Cylinder Engine with 166 HP at 5800 RPM*. EXPERTS REPORT Car and Driver Editors Choice. Edmunds.com explains 'The Honda CR-V is remarkably nimble by compact SUV standards, thanks to a relatively firm suspension and sharp steering with excellent road feel. Braking performance is top-notch as well.'. 5 Star Driver Front Crash Rating. 5 Star Driver Side Crash Rating. Great Gas Mileage: 26 MPG Hwy. AutoCheck One Owner Approx. Original Base Sticker Price: $22,400*. MORE ABOUT US All preowned vehicles are covered by the Lorensen Advantage, including extended warranties and free services. For more information go to -advantage. Pricing analysis performed on 4/16/2019. Horsepower calculations based on trim engine configuration. Fuel economy calculations based on original manufacturer data for trim engine configuration. Please confirm the accuracy of the included equipment by calling us prior to purchase. Description:Used 2017 Honda Pilot touring for sale - $34,639.00 with 36,719 miles. 2017 Honda Pilot touring Check out this gently-used 2017 Honda Pilot we recently got in. This vehicle is loaded with great features, plus it comes with the CARFAX BuyBack Guarantee. As a Certified Pre-Owned vehicle, this Honda Pilot Touring AWD offers you the peace of mind because you know it has been rigorously inspected to meet exacting standards. Off-road or on the street, this Honda Pilot Touring AWD handles with ease. Sophistication & understated luxury comes standard on this Honda Pilot Touring AWD. Well-known by many, the Pilot has become a household name in the realm of quality and prestige. Hit the gas pedal and put the engine power to all four wheels. With AWD, you'll have the greater performance right off the line, everytime you drive. Description:Used 2013 Toyota Camry Hybrid le for sale - $13,821.00 with 77,937 miles. 2013 Toyota Camry Hybrid le Toyota Certified, Excellent Condition. FUEL EFFICIENT 38 MPG Hwy/40 MPG City! NAV, Heated Leather Seats, Sunroof, Keyless Start, Alloy Wheels, Dual Zone A/C, Hybrid, CONVENIENCE PKG, BLIND SPOT MONITOR W/LANE ASSIST READ MORE! KEY FEATURES INCLUDE Hybrid, Aluminum Wheels, Keyless Start, Dual Zone A/C Remote Trunk Release, Keyless Entry, Child Safety Locks, Steering Wheel Controls, Electronic Stability Control. OPTION PACKAGES PREMIUM HDD NAVIGATION SYSTEM 7' touch screen w/split-screen functionality vehicle info, JBL AM/FM stereo, CD player, MP3/WMA capability, aux audio jack, USB port w/iPod connectivity control, SiriusXM satellite radio, NavTraffic/NavWeather/fuel prices/sports/stocks w/, Entune w/Bing/Pandora/iHeartRadio/MovieTickets.com/OpenTable w/, HD Radio w/iTunes tagging, voice recognition, (10) JBL GreenEdge speakers w/subwoofer amplifier, LEATHER PKG leather-trimmed Ultrasuede seats, leather door trim, front multi-stage heated seats, 4-way pwr passenger seat, integrated armrests, front seatback pockets, PWR TILT/SLIDE MOONROOF pinch protection, dual illuminating visor vanity mirrors, rear reading lights, CONVENIENCE PKG anti-theft system w/alarm, HomeLink universal garage door opener, rearview camera, SAFETY CONNECT emergency assistance, stolen vehicle locator, roadside assistance, auto collision notification, BLIND SPOT MONITOR W/LANE ASSIST. Serviced here, Non-Smoker vehicle, Originally bought here, All Service Records Available. This vehicle has been upgraded with Leather and Heated seats, Upgraded stereo that can be accessorized to provide GPS Navigation, Bluetooth, and more! AutoCheck One Owner 12-Month/12,000-Mile Limited Comprehensive Warranty, 7 Year/100,000 Mile Limited Powertrain Warranty from date of original purchase Pricing analysis performed on 4/15/2019. Fuel economy calculations based on original manufacturer data for trim engine configuration. Please confirm the accuracy of the included equipment by calling us prior to purchase. Description:Used 2019 Honda Hr-v Ex for sale - $26,165.00 with 1 miles. 2019 Honda Hr-v Ex Moonroof, Heated Seats, Bluetooth, Aluminum Wheels, All Wheel Drive, Back-Up Camera, iPod/MP3 Input, Satellite Radio. EX trim, Modern Steel Metallic exterior and Black interior. EPA 31 MPG Hwy/26 MPG City! 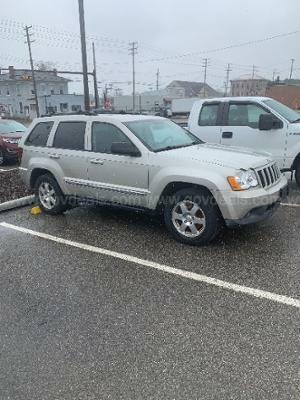 SEE MORE!KEY FEATURES INCLUDESunroof, All Wheel Drive, Heated Driver Seat, Back-Up Camera, Satellite Radio, iPod/MP3 Input, Bluetooth, Aluminum Wheels Rear Spoiler, MP3 Player, Keyless Entry, Privacy Glass, Steering Wheel Controls. Honda EX with Modern Steel Metallic exterior and Black interior features a 4 Cylinder Engine with 141 HP at 6500 RPM*.EXPERTS RAVEEdmunds.com's review says /The steering has a pleasant and natural feel to it. It relays enough information about what the front tires are doing to give you confidence as you drive around turns. It's also an easy car with which to navigate a tight parking lot./. Great Gas Mileage: 31 MPG Hwy.OUR OFFERINGSAll preowned vehicles are covered by the Lorensen Advantage, including extended warranties and free services. For more information go to www.lorensen.com/lorensen-advantage.Horsepower calculations based on trim engine configuration. Fuel economy calculations based on original manufacturer data for trim engine configuration. Please confirm the accuracy of the included equipment by calling us prior to purchase. Welcome to Jon Lorensen's Westbrook Honda. Conveniently located right off Interstate 95 at Exit 65, Westbrook Honda has been in business since 1982. Along with our full complement of new Hondas, we have a large selection of Certified Pre-Owned Hondas and used cars as well. Every new and pre-owned vehicle we sell comes backed by the Jon Lorensen Advantage that saves you over $1500. Description:Used 2019 Jeep Compass limited for sale - $33,475.00 with 0 miles. 2019 Jeep Compass limited This Jeep won't be on the lot long! This vehicle is a triumph, continuing to deliver top-notch execution in its segment! Top features include heated front seats, variably intermittent wipers, a power rear cargo door, and voice activated navigation. Under the hood you'll find a 4 cylinder engine with more than 170 horsepower, and for added security, dynamic Stability Control supplements the drivetrain. Four wheel drive allows you to go places you've only imagined. Our experienced sales staff is eager to share its knowledge and enthusiasm with you. We'd be happy to answer any questions that you may have. Call now to schedule a test drive.